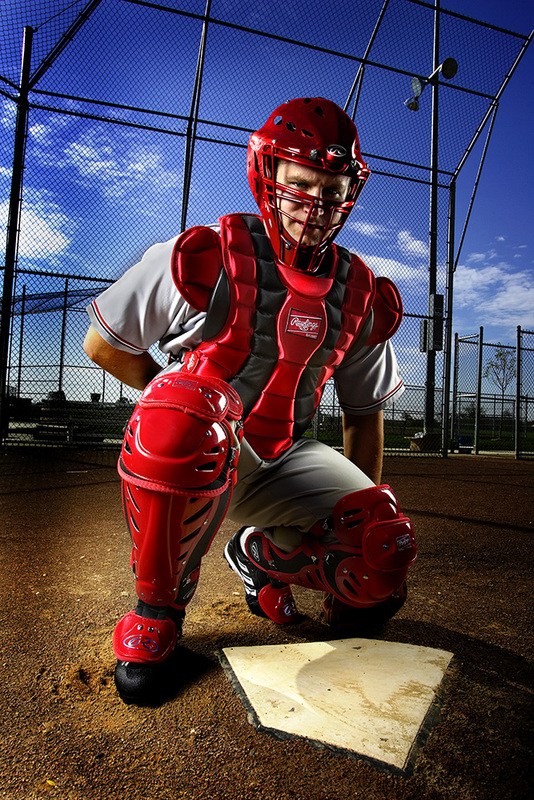 A local industrial design company developed these items for Rawlings. These photos were for promotional and portfolio uses. This was done on location at a local park in New Albany Ohio. We did strongly use external strobe lights to get this effect.